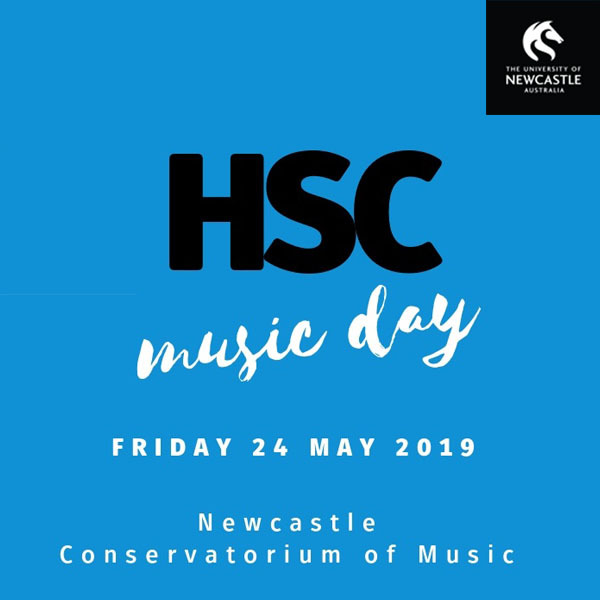 The University of Newcastle's Conservatorium of Music is excited to be presenting HSC Music Day again in 2019, this year with some exciting program additions and presenters. Year 11 and 12 music students are invited to experience an exciting program which will focus on Australian music and include performances by Encore nominees (2018), local artists, valuable presentations by HSC markers and a selection of performance, composition, musicology and aural skills workshops. This year's exciting program will focus on Australian music and include performances by Encore nominees (2018), local artists, valuable presentations by HSC markers and a selection of performance, composition, musicology and aural skills workshops. The cost of the day is $40.00 per student (including GST). One teacher per student group will be admitted for free. You must indicate total numbers with your booking. Additional teachers are $40.00 per person. Students attending will be provided with a comprehensive Music Resource booklet. All students are expected to bring writing materials and wear full school uniform to this event. To comply with venue safety requirements, large school backpacks must not be brought into the foyer or Concert Hall. Students may bring a small bag for personal belongings and writing materials. Snacks will be available for purchase from the foyer canteen, however, students are encouraged to bring a packed lunch or organise individual arrangements for a ‘Picnic in the Park’ (weather permitting). Additional information on workshop electives will be sent in the coming weeks. We look forward to welcoming your students to the 2019 HSC Music Day!